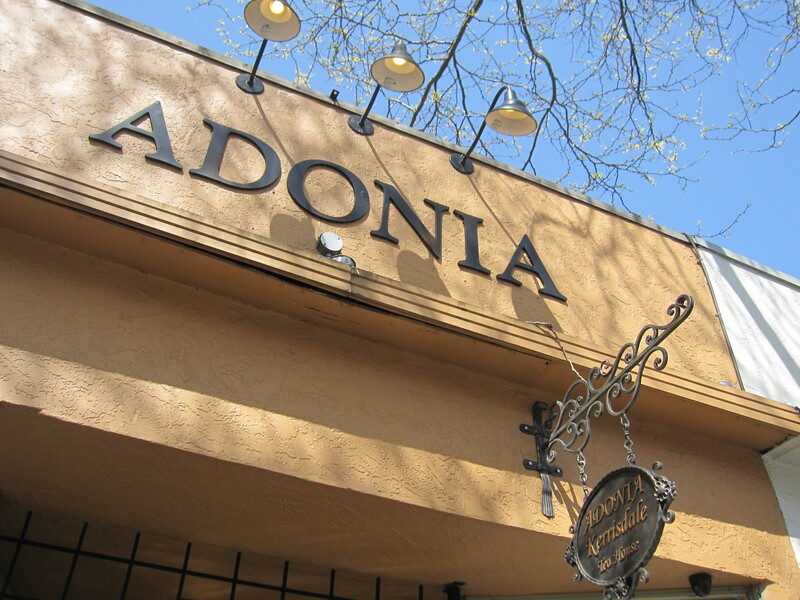 Recently I had a lovely afternoon going into Vancouver with my aunt and cousin, there we met up with my niece and we all went for tea at Adonia Tea House in Kerisdale. We were out to celebrate my aunt’s birthday, it turned out to be a lovely sunny day. 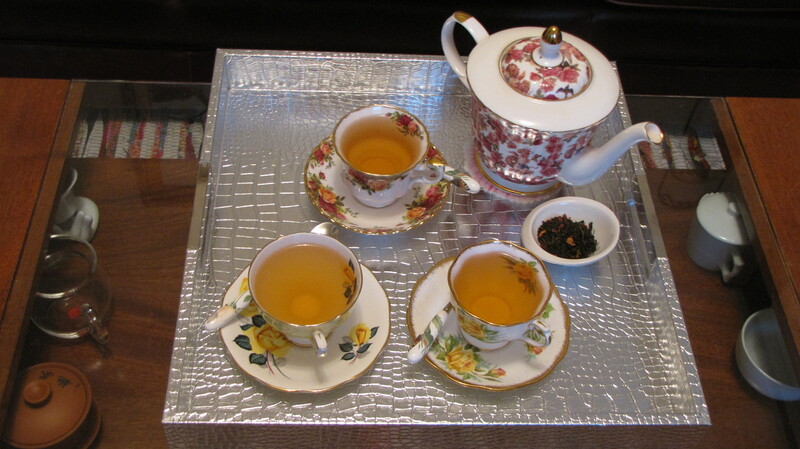 We decided on a white/green tea blend and a Darjeeling. 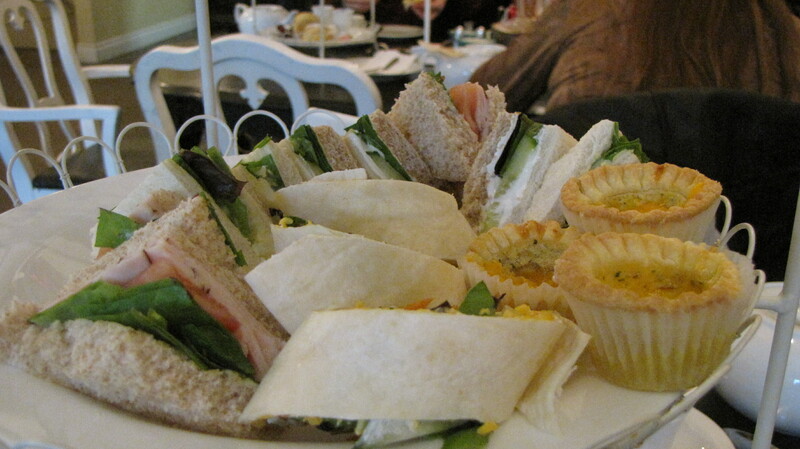 The food was in high tea style all petite and too pretty to eat. It was a fun afternoon! 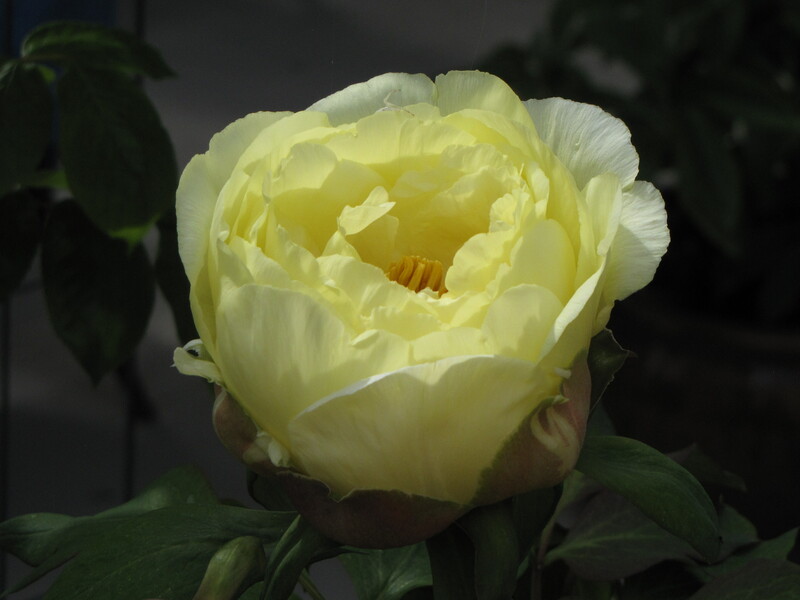 My yellow tree peony has decided to bloom after 9 years of nothing but foliage! 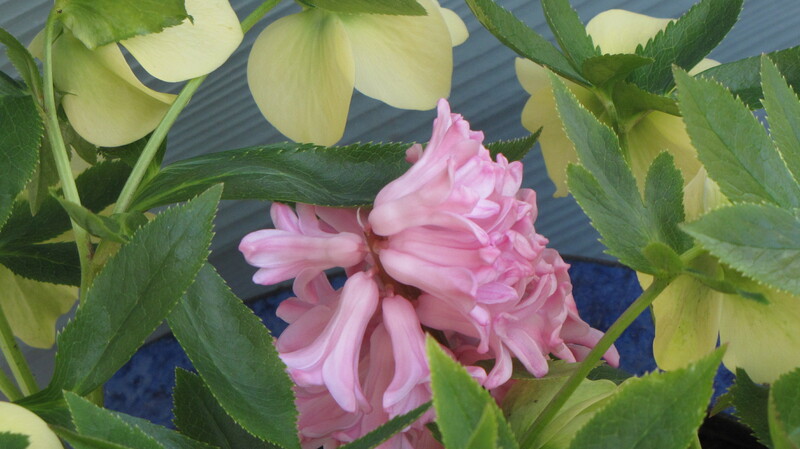 I bought it from a mail order catalogue about 10 years ago and until this week in that time I had one bloom! 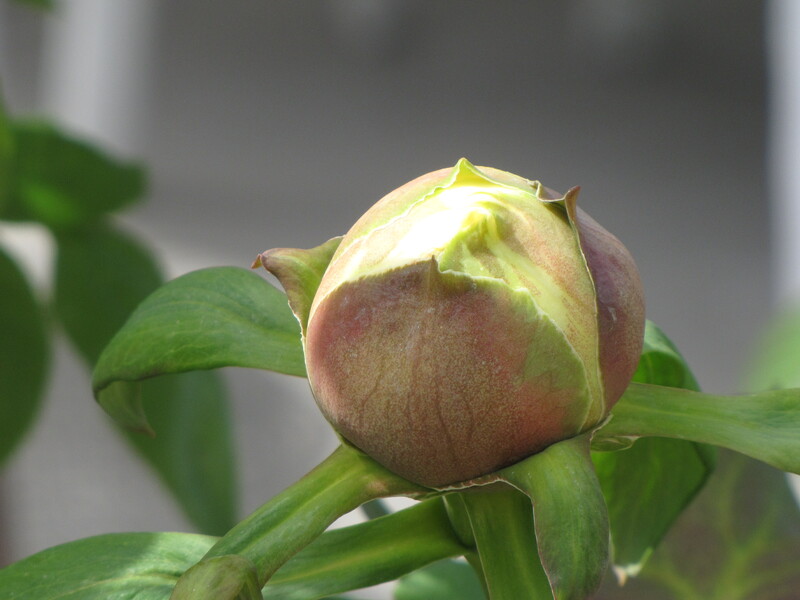 It was almost left behind when I dug up plants to bring to our Chilliwack, BC garden but tree peonies are expensive to replace so I thought I had better bring it a long. 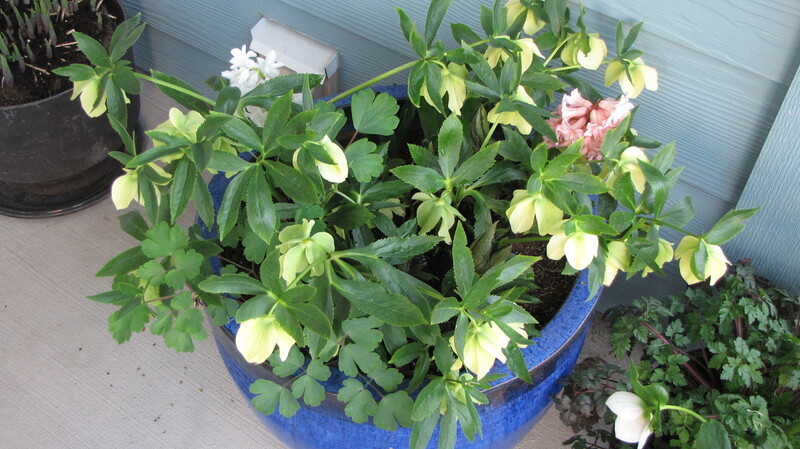 It spent the first summer in a big pot so I could winter it in the garage, it didn’t do much last year so this past spring I thought to heck with it I am planting it in the ground. Now this is no easy feat because we live in a new development and I have seen a few homes being built around my neighbourhood and there is no soil in the backyards! Its all builder’s fill and I mean big rocks and gravel with a skimming of about 8 inches of dirt. In my previous garden I was surprised if I ever found a rock when digging a hole but here you pretty much need dynamite to dig anything decent! 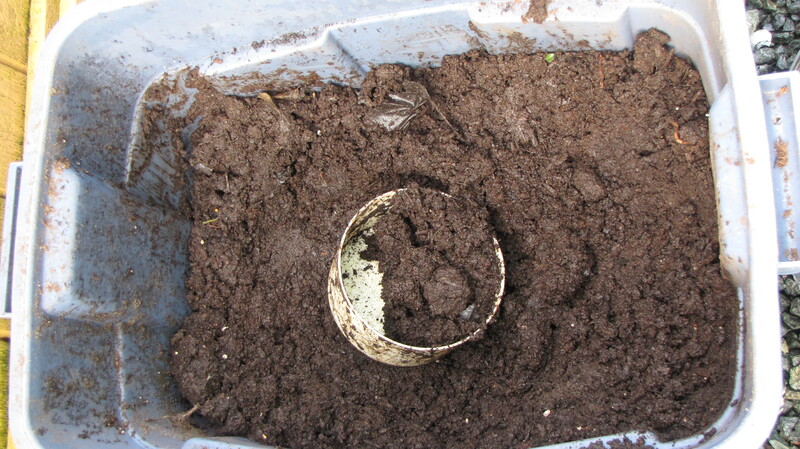 So when I plant I remove as many of rocks as I can then using a garden claw I mix in manure, compost and good soil. 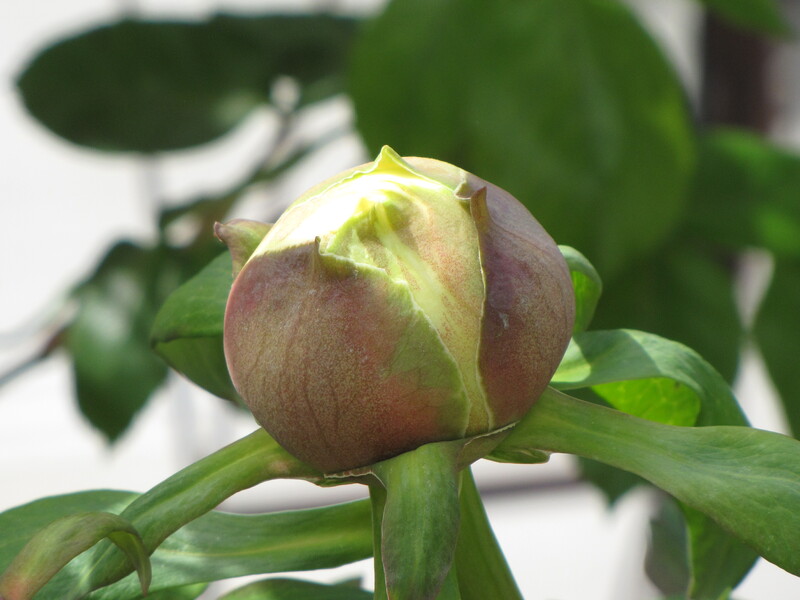 This is why I am shocked the tree peony not only graced me a giant yellow bloom but there are 6 more coming! This just goes to show no matter how hard we try there is no controlling Mother Nature and plants will do what they want when they want. 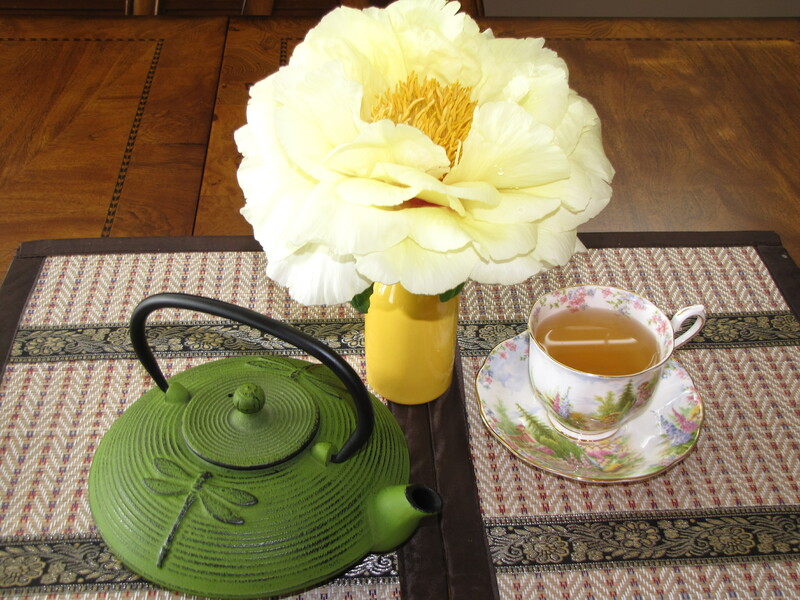 It was so stormy the other night I thought it would look neurotic if I tried to put an umbrella over the bloom so instead I cut it off and brought it into the house, it opened fully and is almost double the diameter of a tea cup. Sorry, I can’t find the name tag I think its Kinaku or something like that, I will try to find out, enjoy the pictures of it opening up. 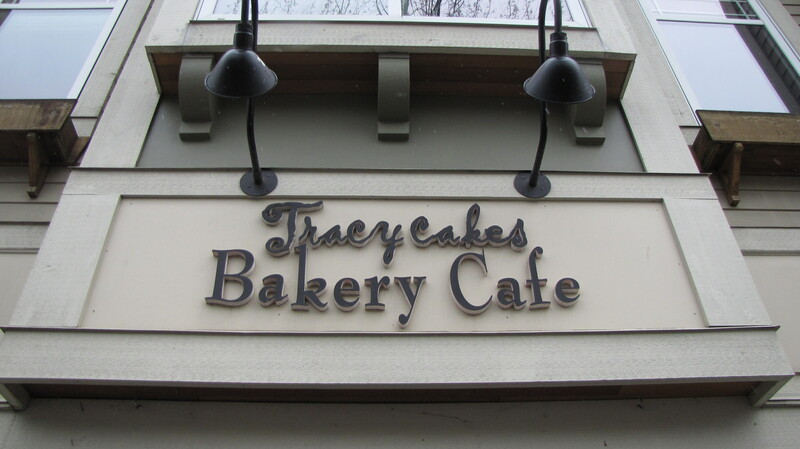 Recently two friends and I had the pleasure of attending a high tea event at Tracycakes Bakery and Cafe in Abbotsford B.C. Canada. The event was hosted by Jolienne Moore who, with Lynn Cris, wrote a book titled ‘Etiquette for the Career Woman, all the Wisdom, Wit and Advice you will ever need to attain Personal and Professional Excellence’. 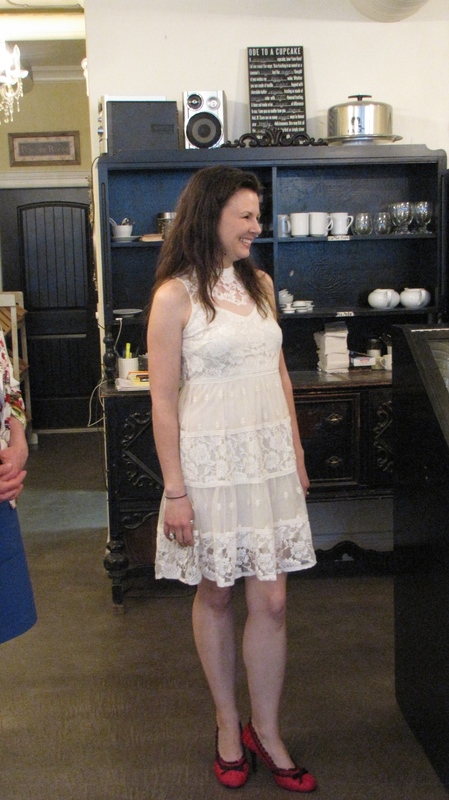 The event focused on the proper way to take high tea so I was very interested in polishing up my manners. 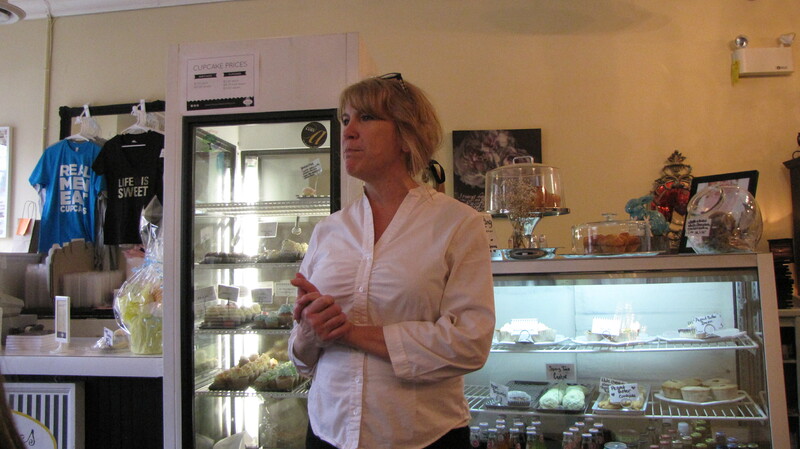 Tracy, the owner of the cafe, addressed all the guests and introduced Jolienne Moore. Ms. Moore showed us the proper way to greet someone, no wishy-washy handshake! How to hold a purse, how to remove a jacket and how to properly approach and sit in a chair. It was so refined and it made me realize how lacking in social graces most of us have become. 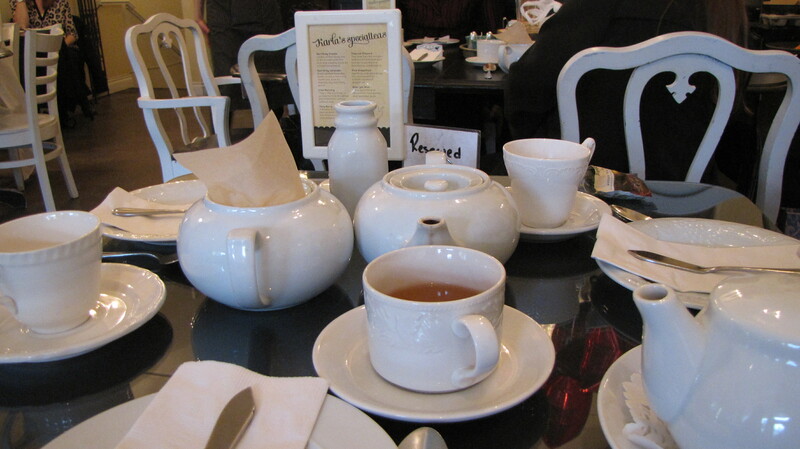 Tea was served, I ordered a nice loose leaf Earl Grey all the while Jolienne explained how to properly hold a tea cup, the history behind high tea, the do’s and don’ts of taking tea and restaurant manners in general. Soon the food was brought to the table on fabulous tiered trays, Jolienne explained that we were to take only one item off the tray at a time starting with the savory treats. Then it was the scones and finally the desserts. 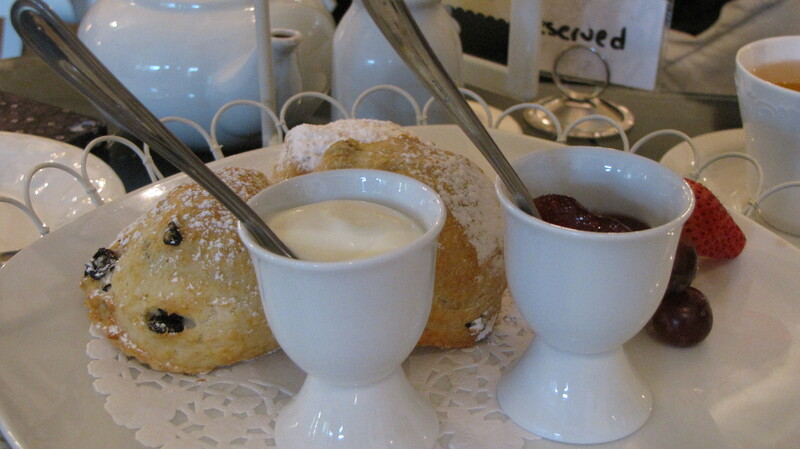 With the scones, it is bad manners to slather the cream and jam onto the whole scone, the proper way is to put the cream and jam onto the plate, break off a piece of scone, add a touch of cream and jam then eat a small bit at a time. Tea is meant for conversation so eating in small bites allows one to easily finish what we have in our mouths and still be able to engage with our guests. 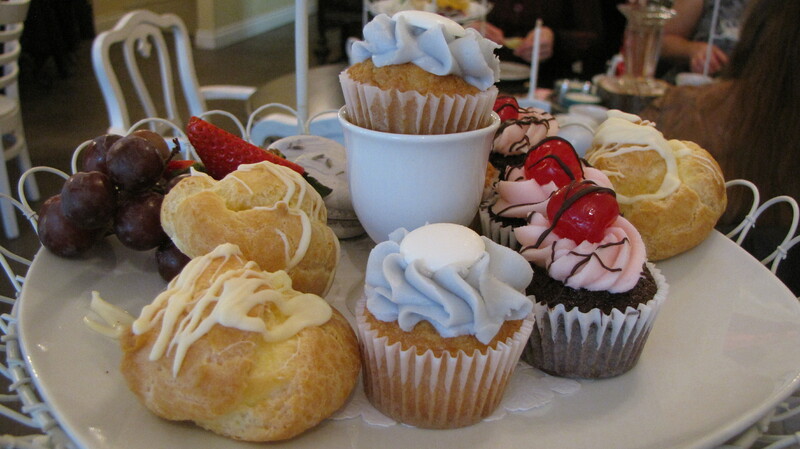 Our food was amazing, I especially enjoyed the lavender cupcakes! 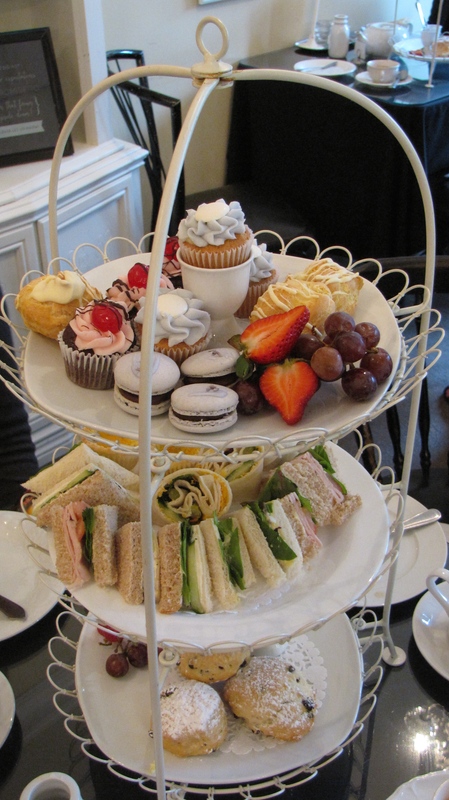 High tea was originally a meal tea with hearty servings of meat and bread, it was consumed after work at high tables. 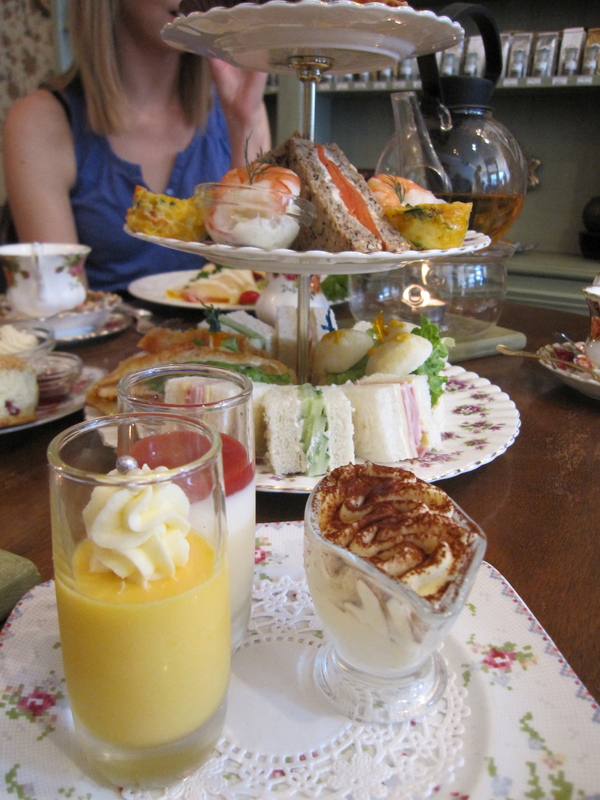 The elegance of high tea as we know it is correctly termed Afternoon tea or Low tea. 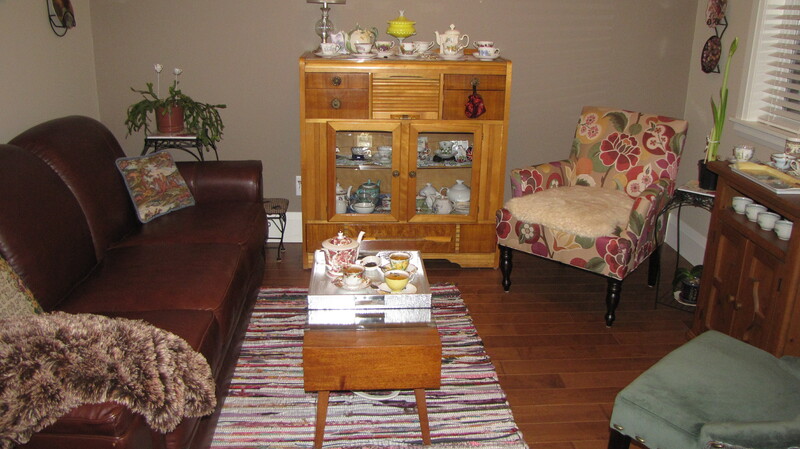 It was taken in a parlour with low tables like the modern-day coffee table so the term low tea because one has to lean down to reach the items on the table. The event was taken in the afternoon as a light meal meant to satisfy hunger until dinner later in the evening. After we finished our trays of treats Jolienne showed the guests the proper way to stand when having a picture taken, it was a really special afternoon spent in the good company of my friends Louise and Alicen. The term Pinkie’s Up dates back to Roman times when the common people ate with all the fingers on their hands while the upper classes ate with only the first two fingers and thumbs, with the outer two fingers extended. It’s not proper to fully extend your pinkie when drinking tea but a little bit is OK! 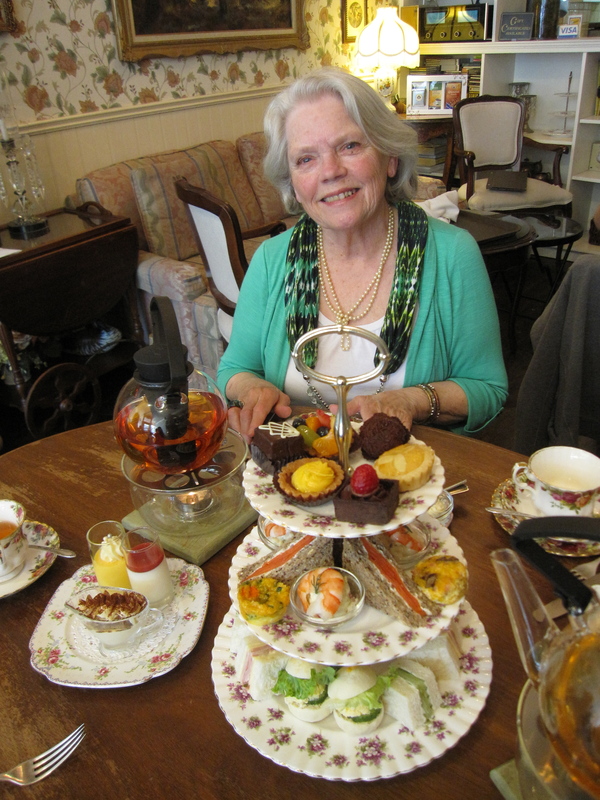 Personally I learned a lot, I look forward to taking high tea again and I won’t slather my entire scone with jam and cream! 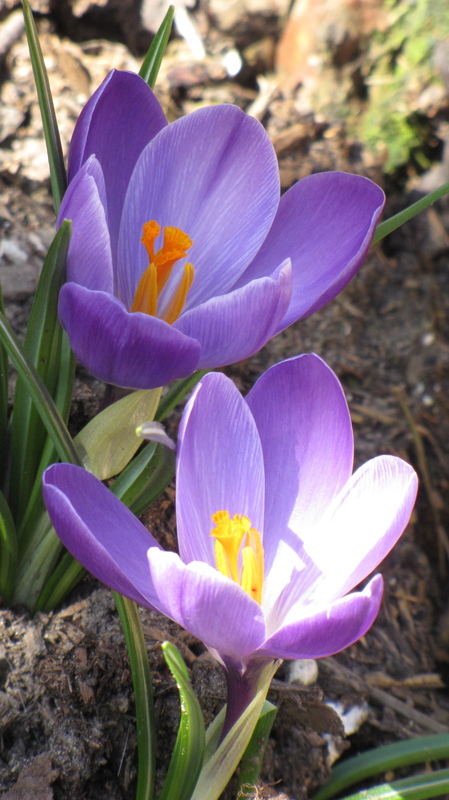 Spring has officially arrived in my garden, the plants are coming up and blooming so fast, one day its dry dirt and the next the daffodils, crocuses and tulips and even the lilies are popping up! 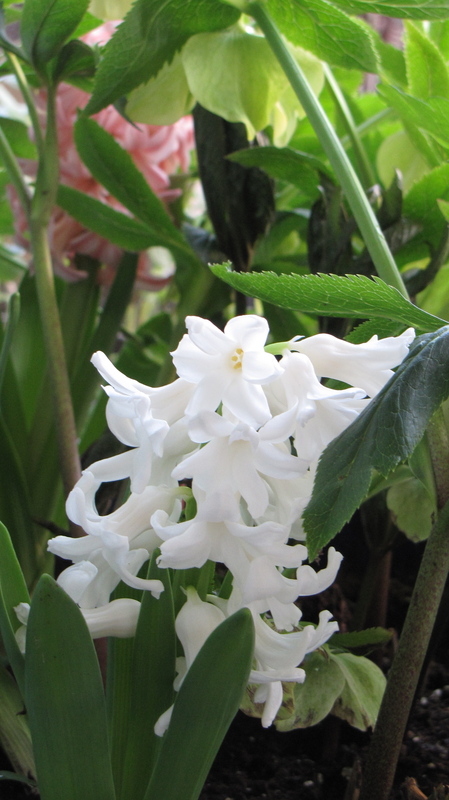 I like spring plants and this year some really interesting varieties are making an appearance in my garden. 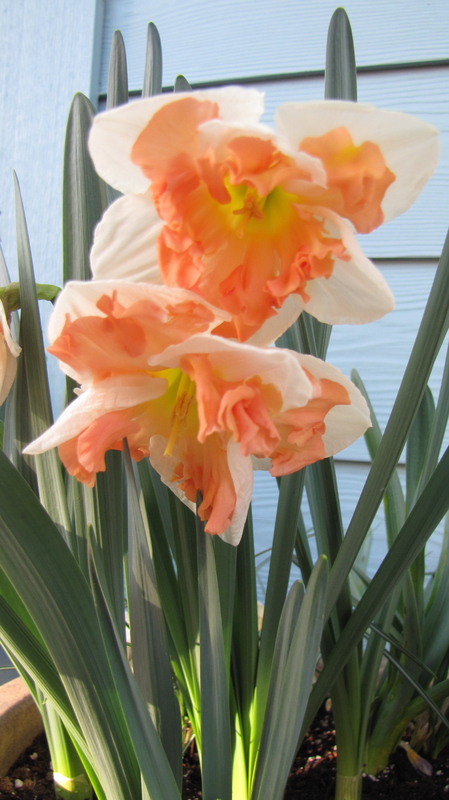 I am pleased to see the split-corona daffodil named ‘Sunny Girlfriend’ and my other one ready to bloom is white with a fine yellow stripe named ‘Sir Winston Churchill’ as well as fiery yellow and orange ‘Jet Fire’ is just about to open. 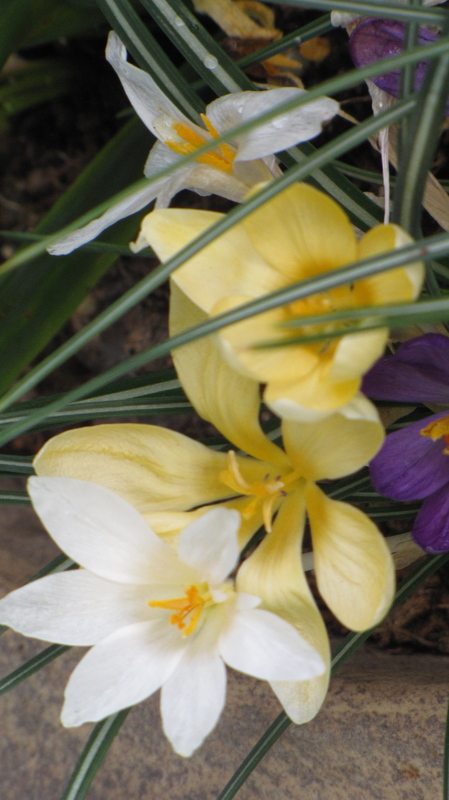 I also have a mixed bag of colourful crocuses blooming and ones named “Gypsy Girl” are all most finished. 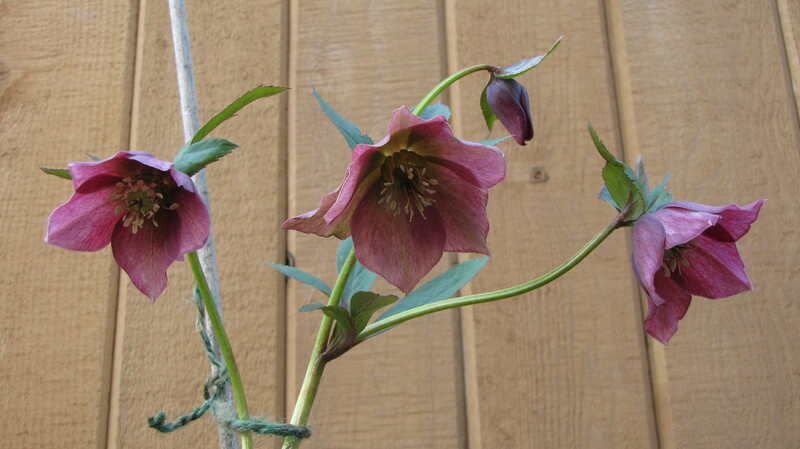 Also on display are the helleboures, always first to the party, and of course my favourite spring flower Hyathinths, they smell amazing! 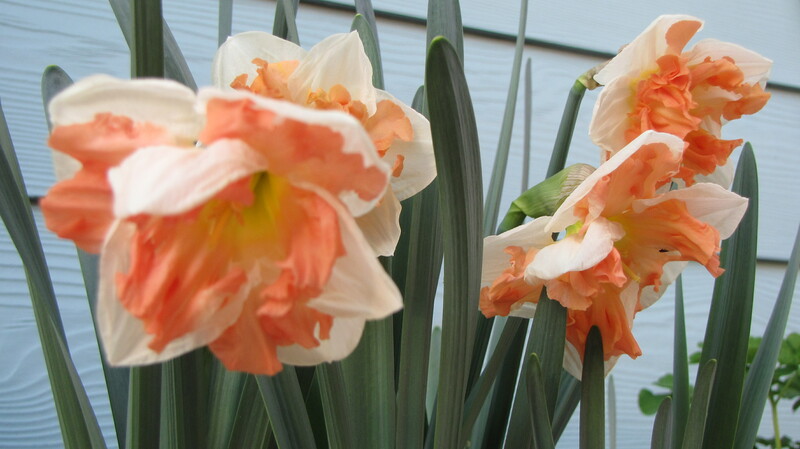 I am really looking forward to the yellow ones named ‘City of Haarlem’ they are just peeking out now. 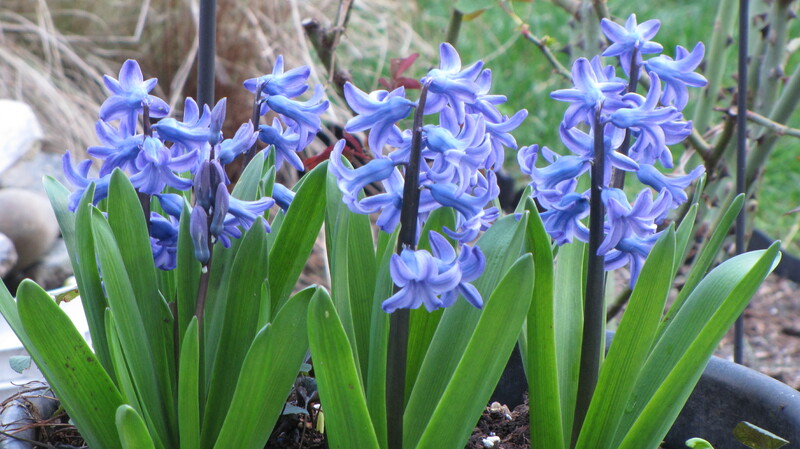 I think I will take a cup of tea outside and sit near the hyacinths to take in their scent they are especially smelly in the early evening! 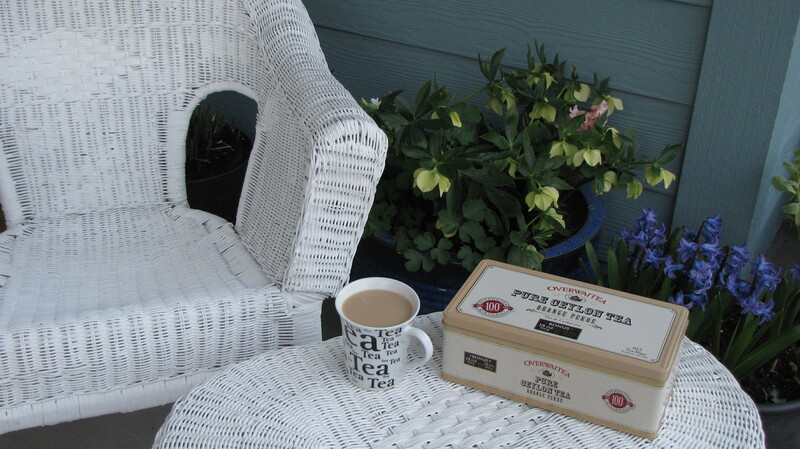 A Tea that is “True North Strong and Free”! All a long I did not think tea grew naturally in Canada but we do have a traditional tea, its called Labrador Tea and it has been consumed by First Nations people for many generations! 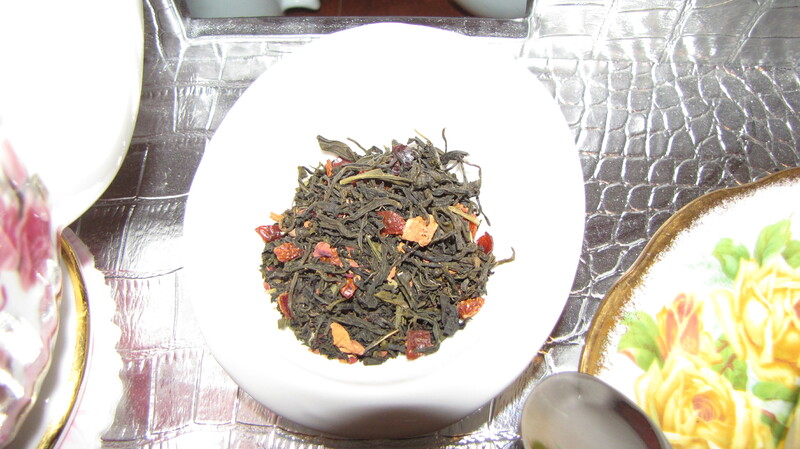 I had never heard of this herbal tisane before I attended a traditional tea and weaving demonstration at the new Sto:Lo gift shop here in town. 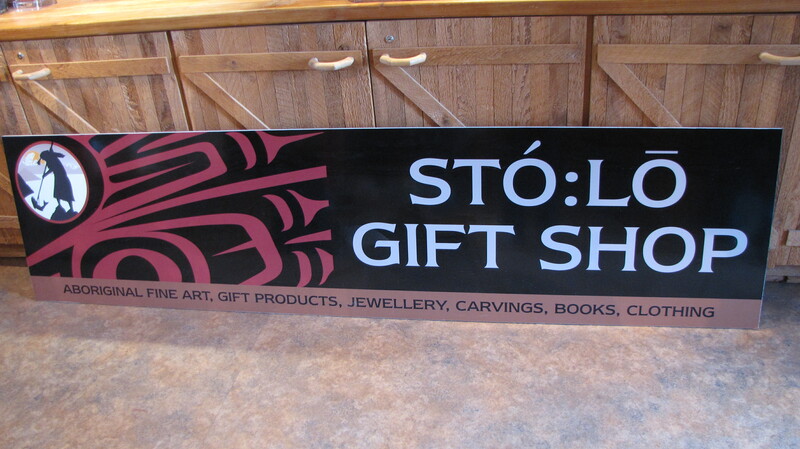 The Sto:Lo First Nations were the first settlers to the area thousands of years ago and they are known as People of the River, they have a rich and proud tradition that is carried on from generation to generation. 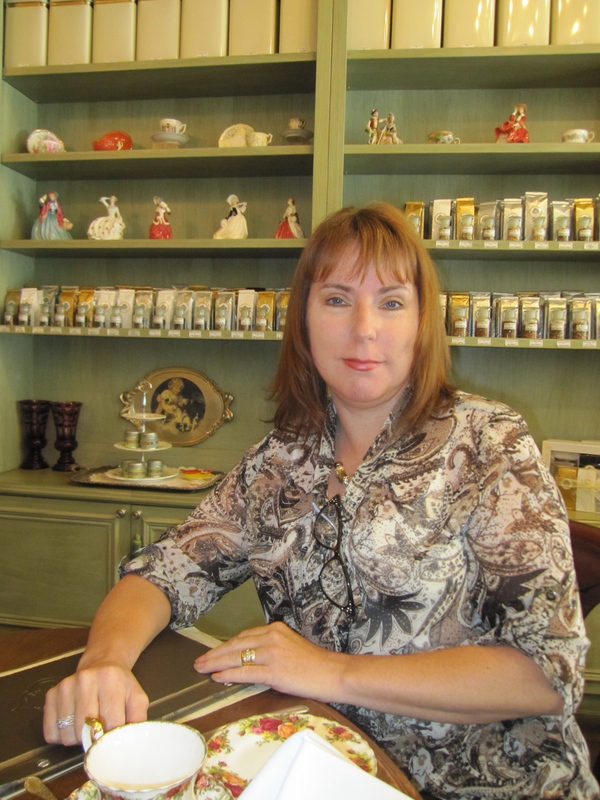 When we arrived at the gift shop I was excited to try the tea, I found it to be nice and mild with just a hint of the essential oils found naturally in the plant. 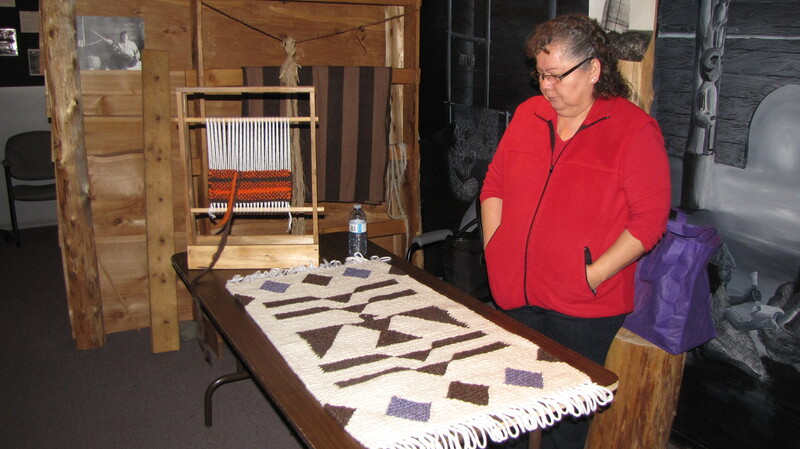 As I sipped my tea I enjoyed watching Frieda demonstrate traditional weaving techniques on an upright loom. She told me she sells her lovely one-of-a-kind works to people from all over the world. She said each symbol represents something different so in a way a story call be told through her art. 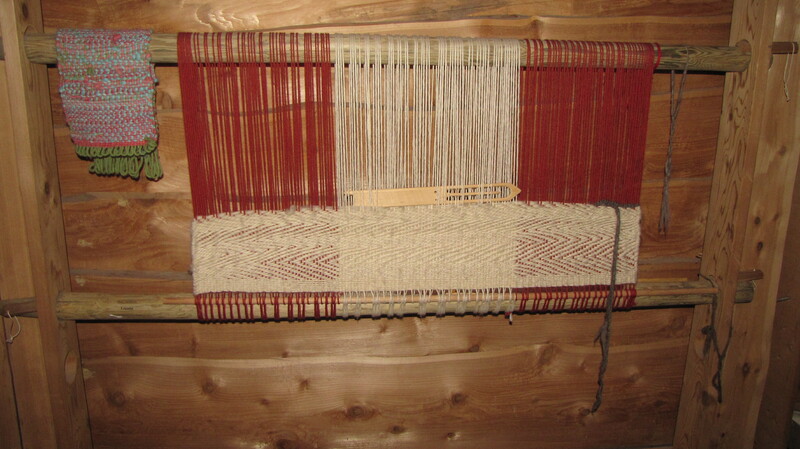 She made weaving look so easy so I tried and I could see with practice I could get the hang of it…hmmm is there a loom in my future? 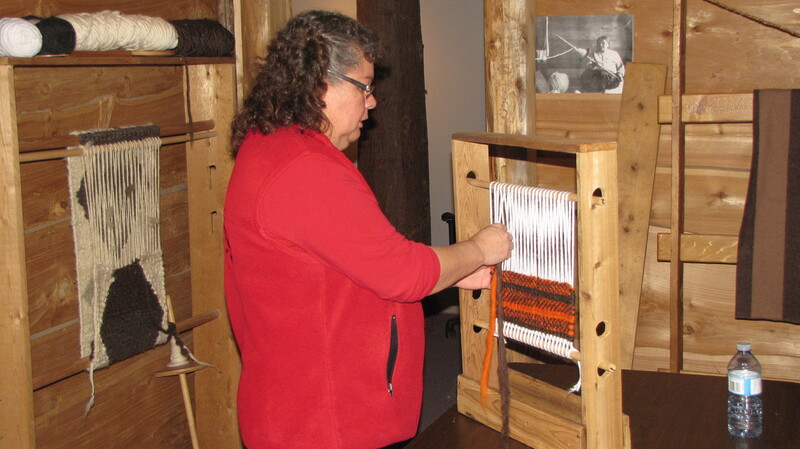 After the demonstration and one of Frieda’s delicious home-made cupcakes I toured the gift shop that was built in the fashion of a First Nation’s longhouse. I could really feel the energy of the Sto-Lo people as I walked through the different the rooms. 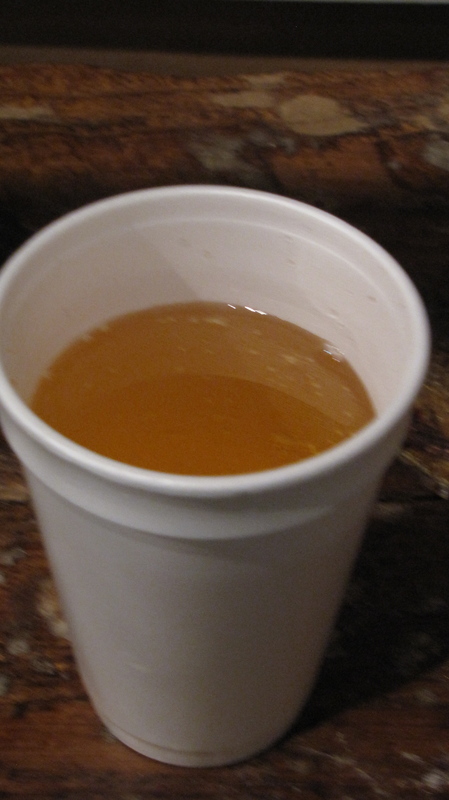 After, I had a second serving of the Labrador tea that had been prepared by Nina. She was kind enough to show me the leaves, they were really interesting as they were very curled on the sides. The Labrador tea leaves are green and leathery, the underside has distinctly noticeable fuzz, the plant is from the Heath family. There are 3 different but related plants used to make Labrador tea and early European explorers encountered them in different regions during voyages to the new world. 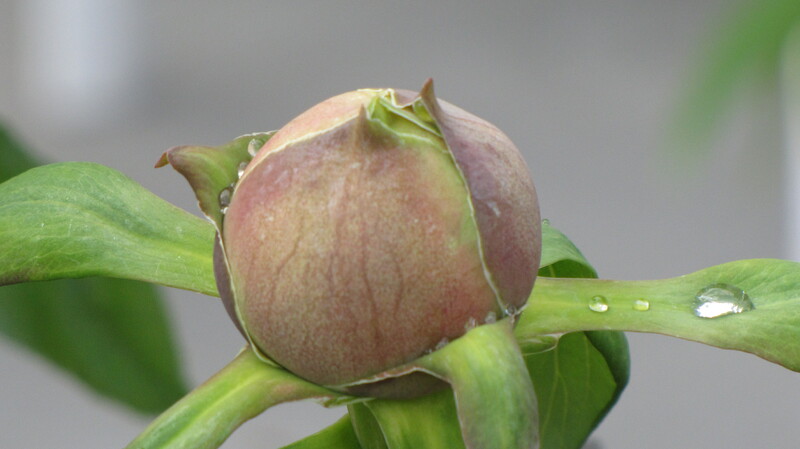 The plant can also be found growing in Greenland, (L. greonlandicum). 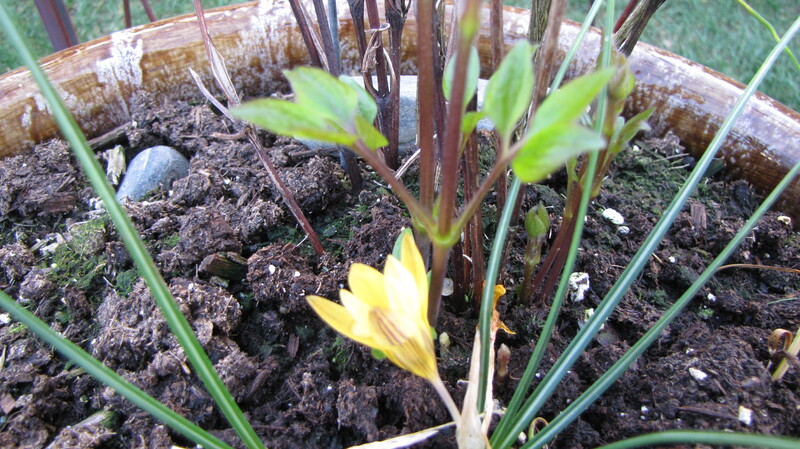 The primary habitat for the Labrador plant, a small evergreen shrub, is a bog, so it’s also called Bog Tea, it also grows in peatlands, tundra, moist coniferous forests, and muskegs. 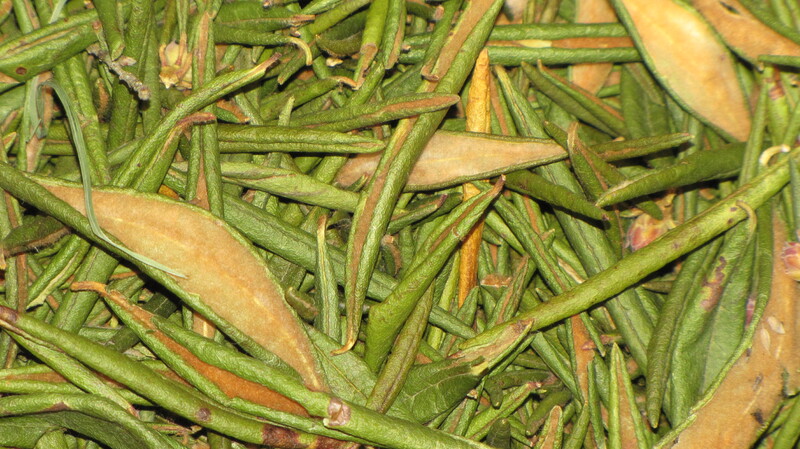 During the Canadian fur-trading era, the French Canadian “coureurs-de-bois” used the Labrador plant leaves to extend their supply of black tea, so it is also known as Trapper’s Tea. 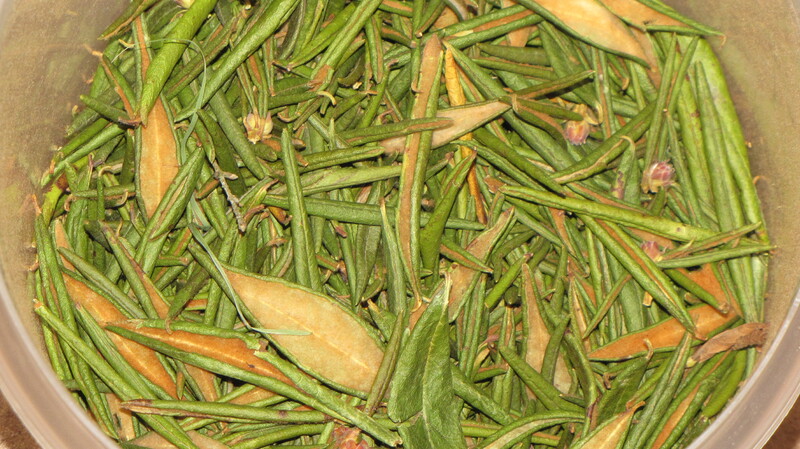 Labrador tea is steeped in a deep, rich history and will always be part of the Sto:Lo traditions and Canada! 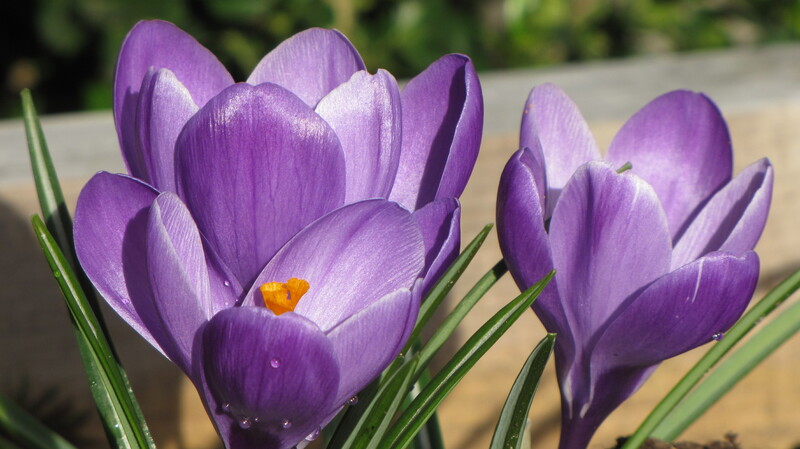 I have to say as I write this I feel a little guilty because the rest of the Canada is in the grips of a nasty winter but here on the West Coast winter seems to be passing us by. 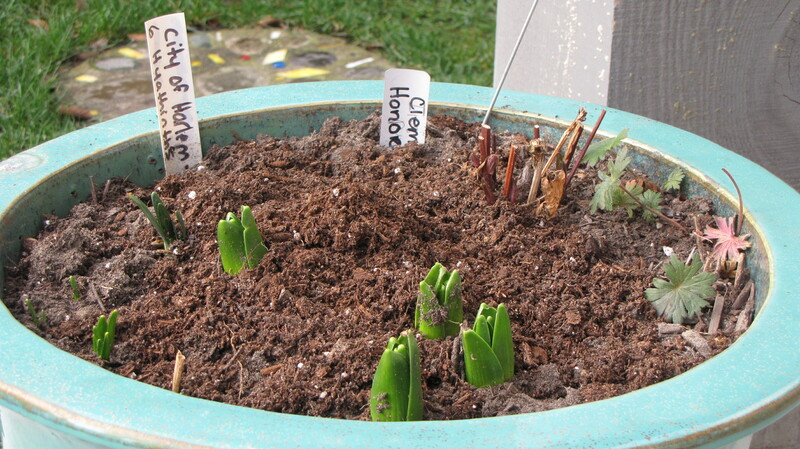 So with this said I am taking this snow-free opportunity to start to prepare my garden for spring. 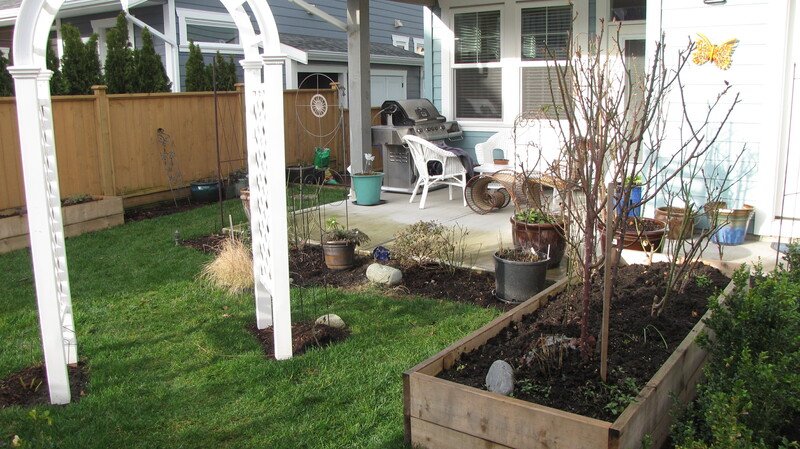 I just completed my first full growing season here in the Fraser Valley and what a season it was, the weather was wonderful and I managed to not go bezerk at every garden centre in town! 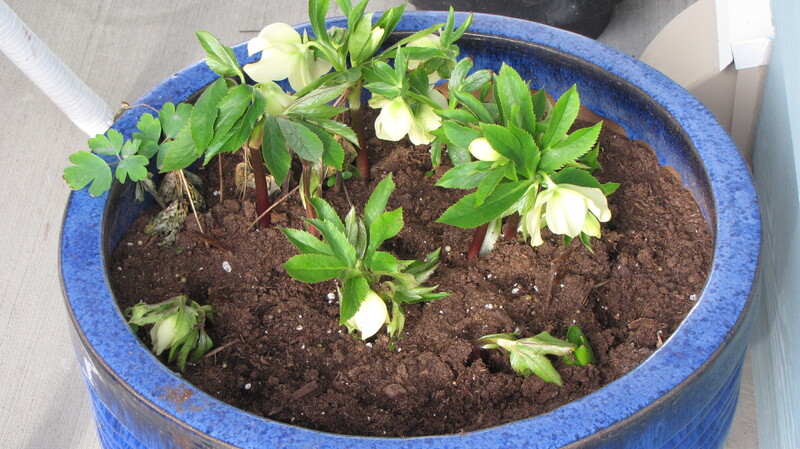 Some of the plants are waking up and are hungry for some food. 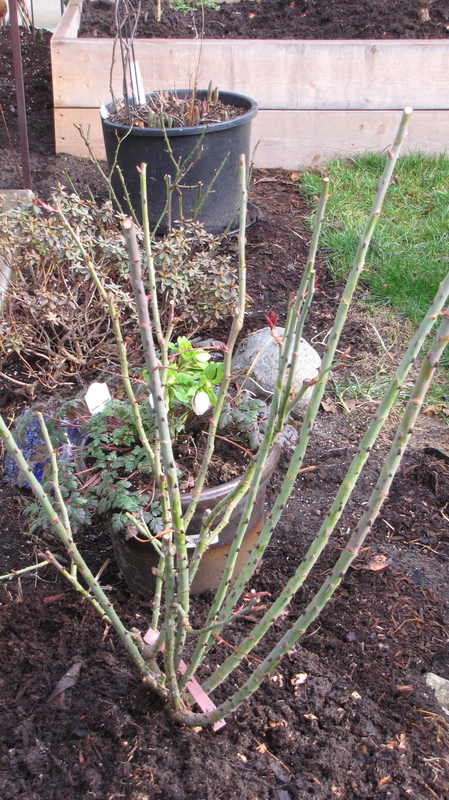 My solution for this, especially the roses, is one part rotted steer manurer and one part tea goop. 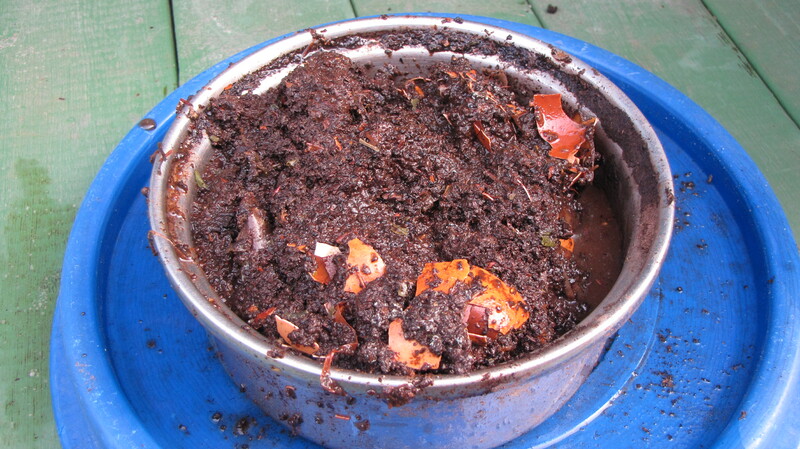 I call it tea goop because its all the tea leaves, bananna peels, coffee grinds and eggshells that I have been adding to a bin all winter. 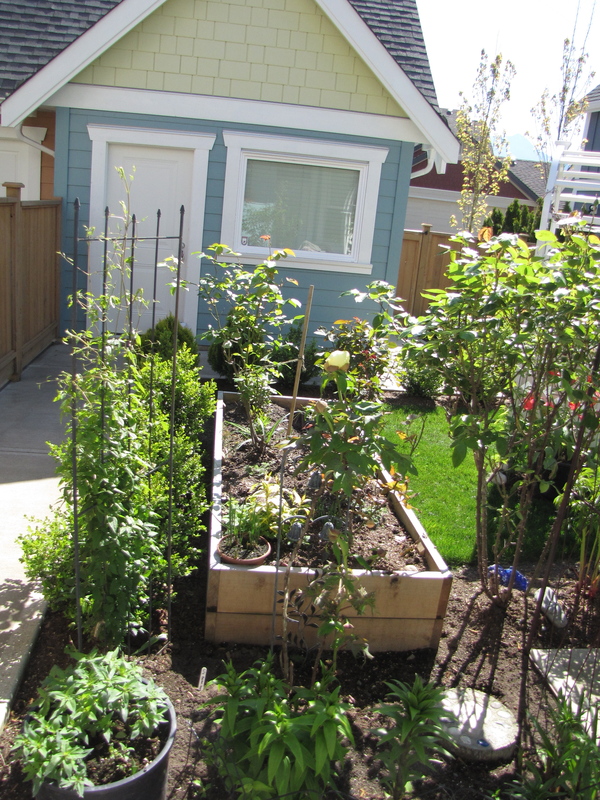 Some people, namely my husband thinks its discusting, but its good food for hungry plants, (he doesn’t garden but he loves to build stuff)! 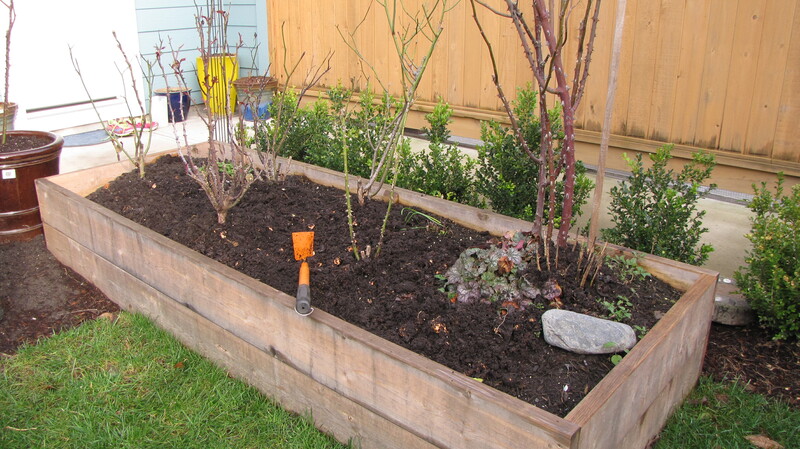 I add a bit of water to the tea goop and mix it up with a claw, then add a scoop to the poop and mix it into the raised rose bed, my potted rose and the two roses directly planted in the ground. 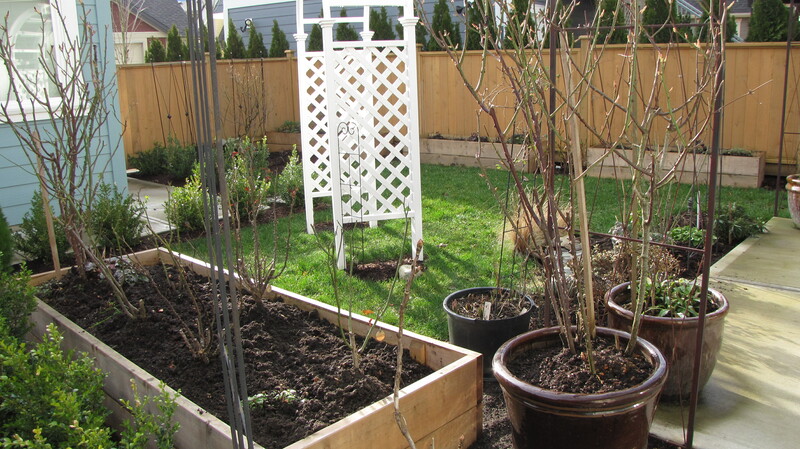 This is also the time while the ground is thawed to clean up debris in the beds and prune any old dead wood on the roses. 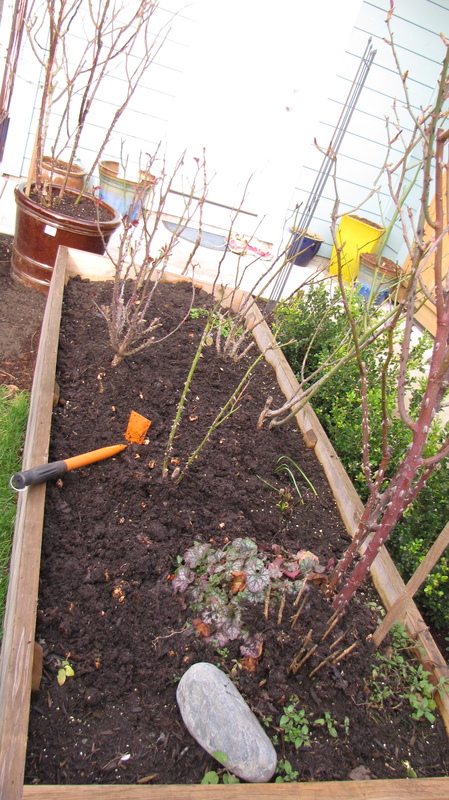 Now I admit I am the world’s worst rose pruner! I see the new, pink, baby shoots and I just don’t have the heart to cut them off! 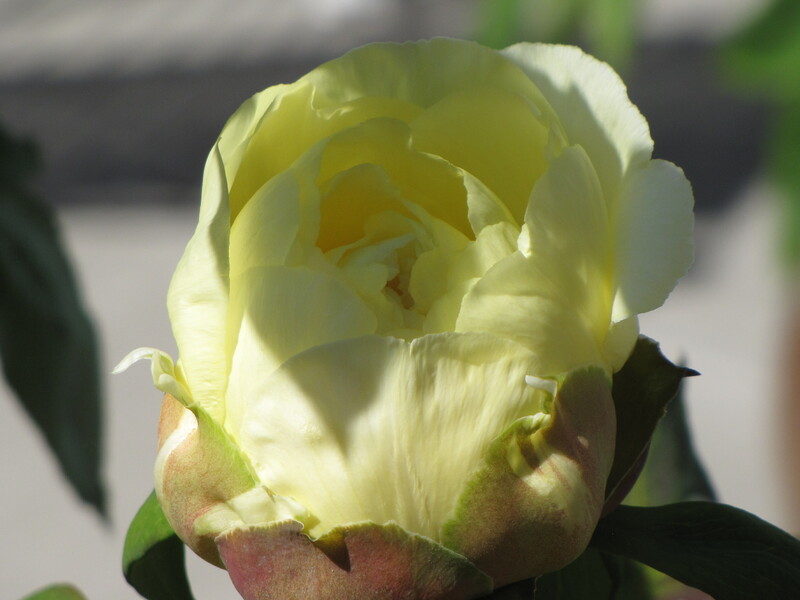 So to any rose expert I am sure mine would be a mess, I am more inclined to prune when I am cutting the blooms to bring into the house. 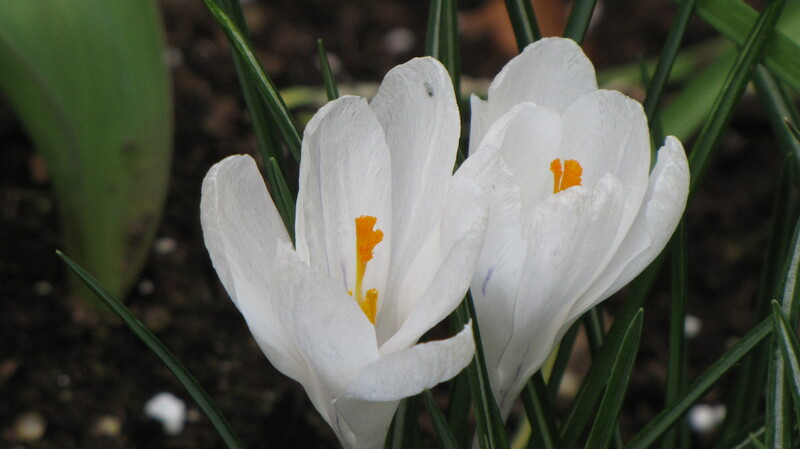 So for now I am snow-free, but not home free, as there are still a few weeks of winter to get through! P.S. 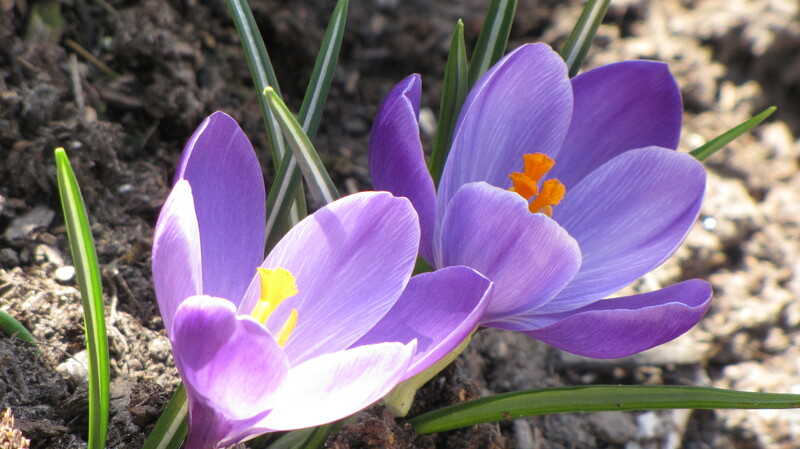 sorry if you are reading this and your own garden is buried under the white stuff…hold on spring will arrive eventually!!! 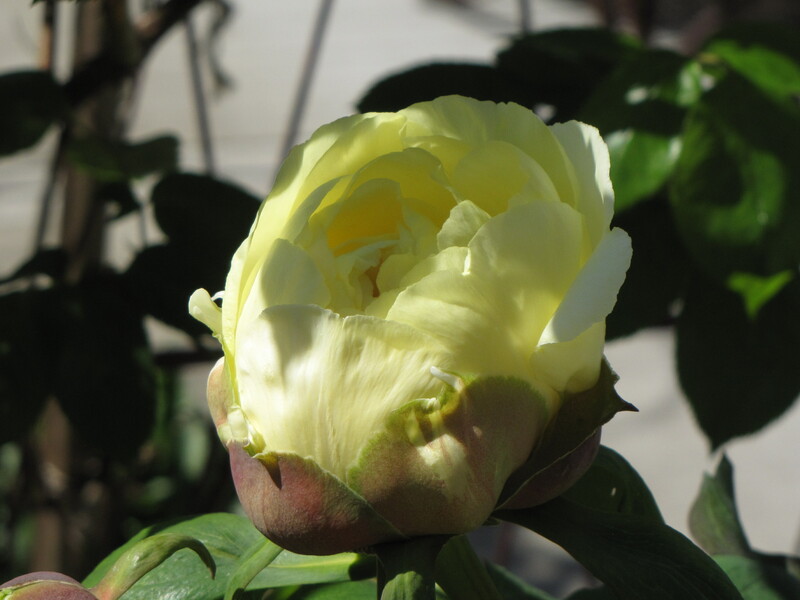 Rose Conjou is either a green or black tea blended with organic rose petals and since my own rose bushes are hibernating, this tea is a nice way to bring the delicate scent of roses into the house. 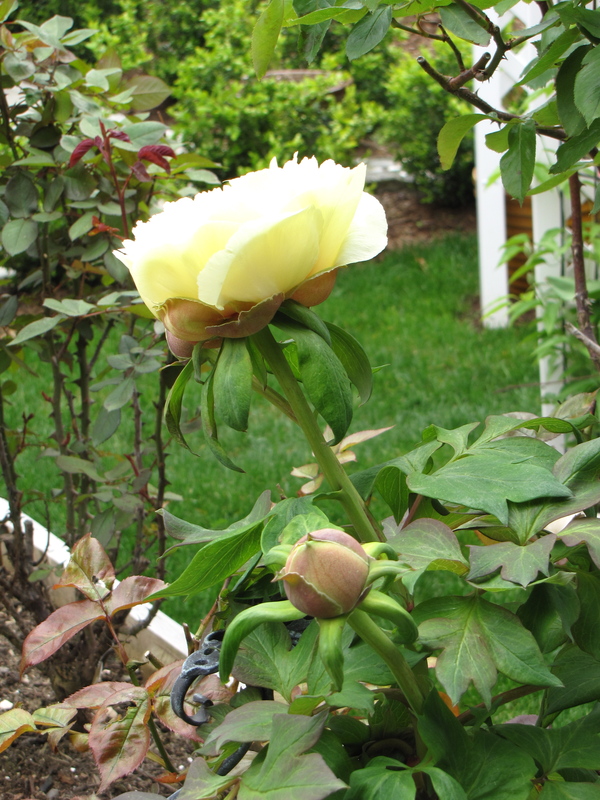 Roses are just one example of a plant that is often used in tea blends. 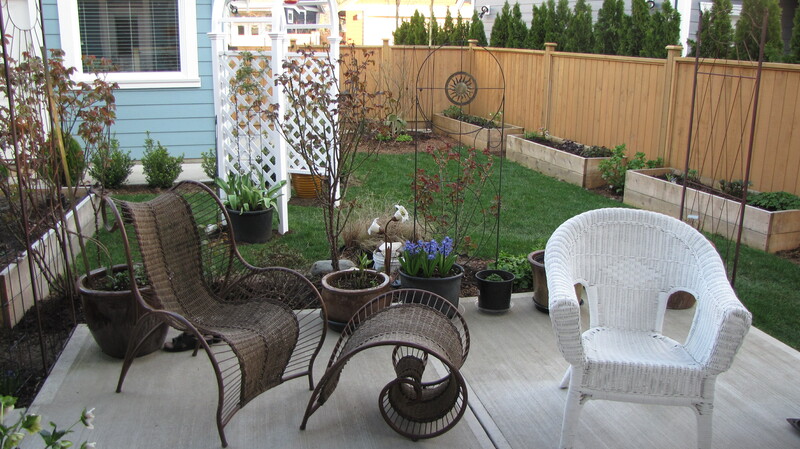 Other plants include jasmine, sunflowers, cornflowers and of course lavender. If you buy a tea with plants in the blend make sure its all organic with no synthetic flavourings. 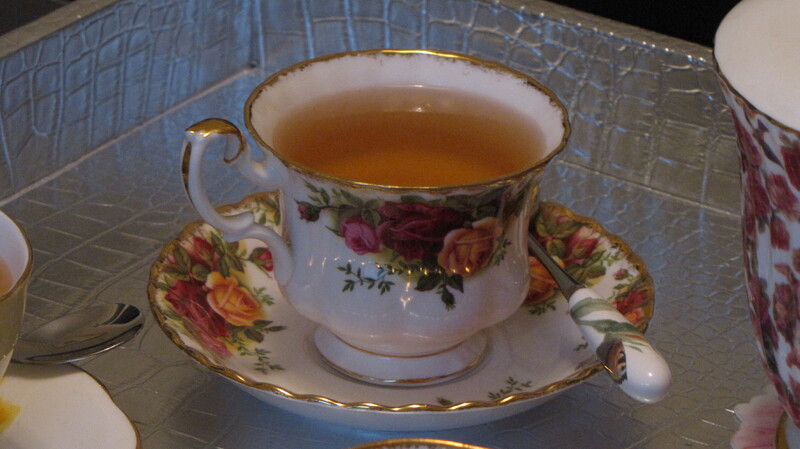 Rose Congou tea can have a strong scent that many people aren’t fond of so its not everyone’s cup of tea! Also it is important to remove the leaves from the water after about 2 minutes so the tea taste is light, if the leaves are left too long to steep this will cause the tea to taste perfumey. 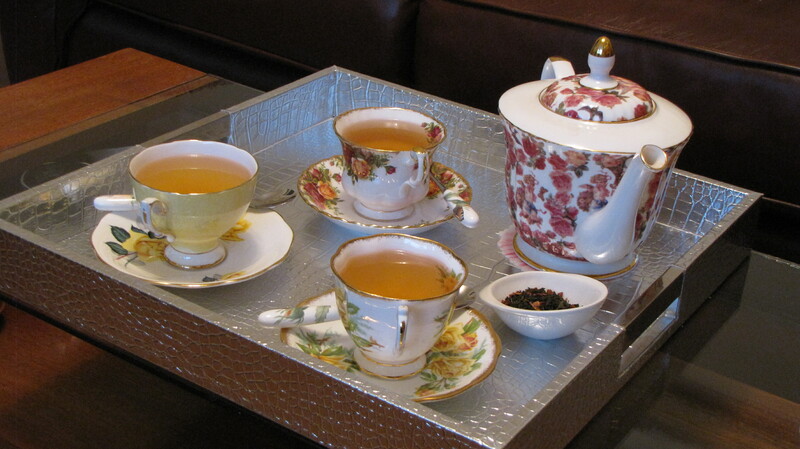 The word congou is Chines and it translates to tea skillfully made by hand. Also congou like the word kung fu comes from the Chinese word gongfu and has to do with skill, as in Chinese martial arts. 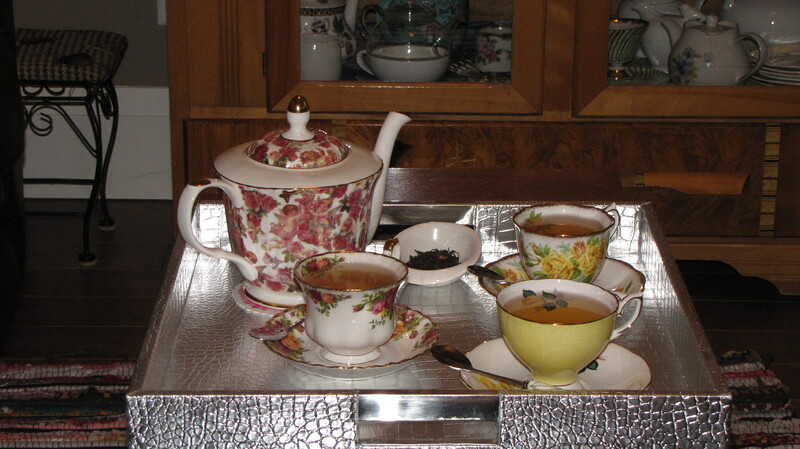 The word bara-no-ki is Japanese for rose tea. Personally I like rose tea now and again and especially in the dark winter it reminds me that spring then summer are just around the corner!